As some of you know I was recently interviewed for the June issue of ‘Irish Country Magazine‘ Ireland’s ‘Magazine of the Year’. Having discovered the blog they sent an email asking if they could feature me. Aside from being really flattered and seeing it as a great opportunity I had to think of the preparation, there’s nothing like the prospect of a professional photo shoot at your home to turn you into Kim Woodburn! And what would I wear? Another consideration was the handing over of creative control. You don’t usually get to see the photos, or the interview, until the magazine comes out. Maybe none of this sounds daunting to you but when you’re dealing with a long running and stressful legal case you try not to add anything that might cause extra pressure if you can. Well as you can see after weighing things up I decided to go for it and I’m so glad that I did! I threw myself into the house, not just cleaning but decorating, styling, looking at the house with an artists eye, more than usual. And as a result the house is now nicer than ever to be in. The distraction was wonderful, and the timing, coming right after a fresh edit of the book was also wonderful. In short the whole preparation was good for my creative soul, for the house, for our lives since, and for my head. The shoot and interview themselves went perfectly smoothly, and the ‘Irish Country’ team could not have been nicer. Then came the wait and I felt fine about it until Adrian walked in the other morning with the magazine, two copies, under his arm. I can’t explain this but I felt anxious all of a sudden, I felt nearly sick at the prospect of seeing it. But of course it was great and I love the end result. I have tried, through the course of these five years, not to let the stresses of the case stop me from living my life. It hasn’t always worked but as Henry David Thoreau said…‘The price of anything is the amount of life you exchange for it,’ and it’s already taken a lot. So going back to the magazine, if you haven’t come across it before it’s a great read, and currently on sale in Tesco for just €1.99 I think. Highlights for me included an article about being an apologist in your written communications, using words like ‘just’ ‘feel’ and ‘sorry’ more than is necessary, that was very interesting. An interview with the director of ‘Body & Soul‘ the festival we attended and loved two years ago brought back happy memories. Plus a useful and timely piece on what it takes to become a full-time author ‘So You Want to Write a Novel?‘ is going in my reference file. These are just my highlights, it’s a great all round lifestyle publication with plenty of fashion, food, community, business, arts, you name it. 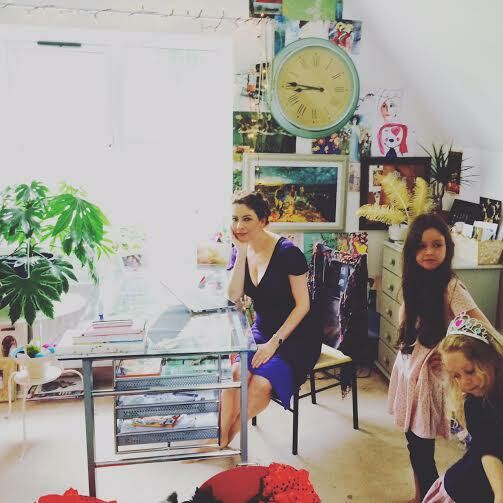 Don’t forget my FREE ‘Creativity Bootcamp’ runs from the 1st to the 15th of June. Read more HERE NO experience necessary, just a desire to create, write, paint, or something else. If you’re ready to stop dreaming and start doing, or, if you’re ready to do more, to create a daily habit, with the support and encouragement of like minded people, then this is for you. Remember, just because the thought makes you anxious doesn’t mean you shouldn’t do it, and it probably means the opposite. After all we rarely regret the things we do, just the things we don’t do. 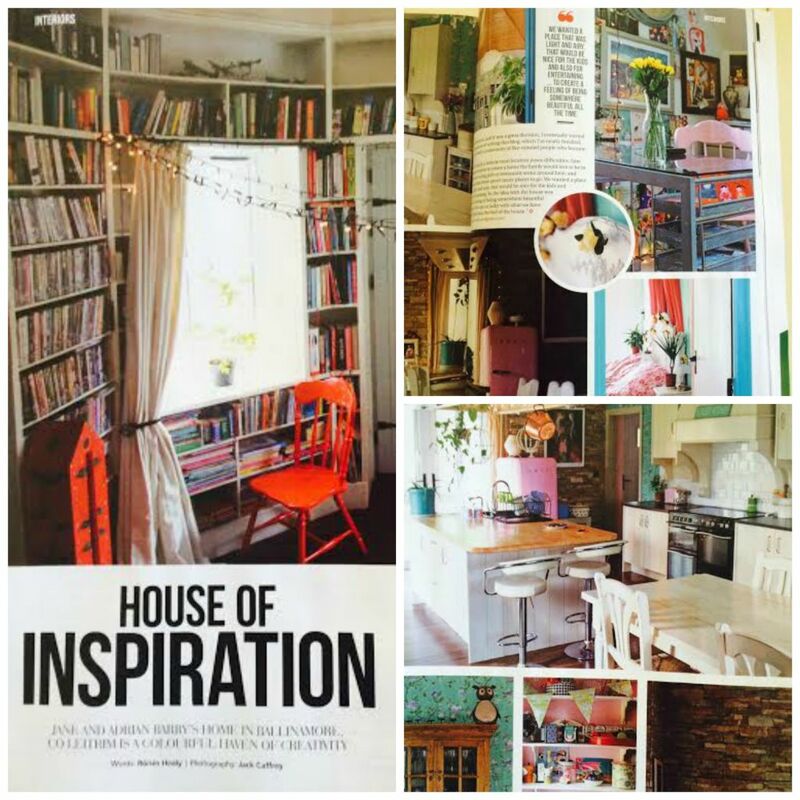 ICM is one of my favourite magazines so it was a treat to see your lovely house featured in it. I know that sick feeling too – I think it’s very common when we hand over something creative to be inspected and judged.